Beverly - John E. Rattigan 87, beloved husband of Barbara (Grant) Rattigan, died Saturday, November 24, 2018 at the Beverly Hospital. Born, raised and educated in Newton, he was the son of the late William H. and Marie J. (Grant) Rattigan. He continued his education and earned a Bachelor of Science degree in Business Administration from Boston University, class of 1955. An honorably discharged veteran, he served his country during the Korean Conflict as a member of the United States Air Force. Mr. Rattigan had been employed for thirty-six years at GTE Sylvania as a Division Manager until the time of his retirement from the Danvers plant in 1992. 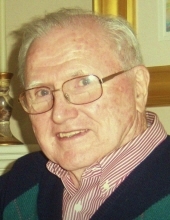 A longtime resident of Beverly, he was an active member of the Catholic church in Beverly for many years. He had volunteered countless hours as a loyal and dedicated member of the St. Vincent de Paul Society. He served as Chairman of the Toys for the Needy program for four years as well as several other programs to help people in need. He was a loving husband, father, grandfather, brother and friend who will be missed by all who knew him. In addition to his wife, with whom he shared sixty two years of marriage, he is survived by two daughters, Diane Sager and her husband, Clinton of Milton and Janet Rattigan Riley of Newmarket, NH, two sons, John Rattigan Jr. and his wife, Carole of Reading and David Rattigan of Beverly, eight grandchildren, Mariel Sager, Garrett Sager, Sean D. Riley, Carolyn Riley, Willa Rattigan, Christopher, Michael and Timothy Rattigan, a brother, James F. Rattigan of Beverly, father-in-law to Sean M. Riley and Cindy Chartrand, brother-in-law of David Grant and his wife, Sharon of Richmond, RI and nieces and nephews. He was also the brother of the late William Rattigan. ARRANGEMENTS: His funeral Mass will be celebrated at St. John the Evangelist Church, 111 New Balch St., Beverly, Saturday, December 1, 2018 at 10:30 a.m. Relatives and friends are invited to attend. Visiting hours at the Campbell Funeral Home, 525 Cabot Street, Beverly, Friday from 4 to 7 p.m. Burial in the North Beverly Cemetery. In lieu of flowers, donations in memory of John can be made to Beverly Bootstraps, 35 Park Street, Beverly, MA 01915. www.beverlybootstraps.com. Information, directions, condolences at www.campbellfuneral.com. To send flowers or a remembrance gift to the family of John E. Rattigan, please visit our Tribute Store. "Email Address" would like to share the life celebration of John E. Rattigan. Click on the "link" to go to share a favorite memory or leave a condolence message for the family.